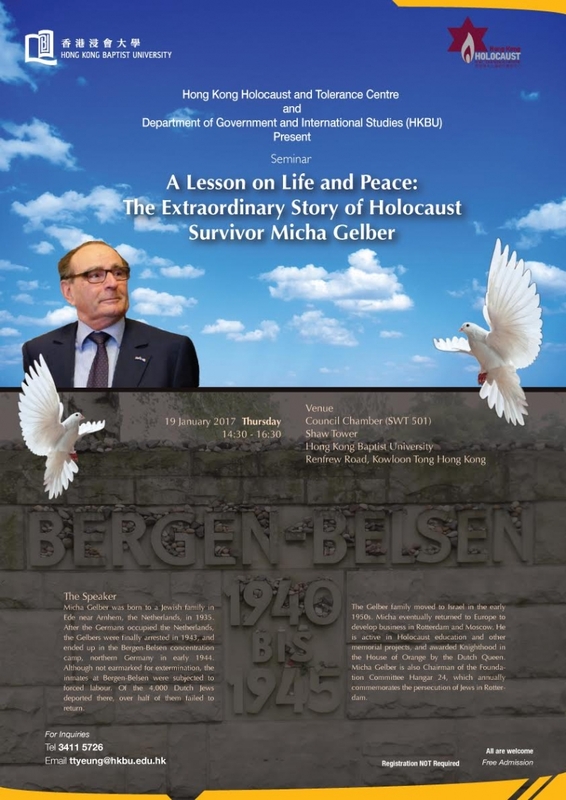 On January 19, 2017, HKHTC and the Hong Kong Baptist University organized a public event “Lesson on Life and Peace: The Extraordinary Story of Holocaust Survivor Micha Gelber” with Dutch Holocaust survivor Micha Gelber, HKBU professor Emilie Tran, and Simon Li, HKHTC Director of Education. 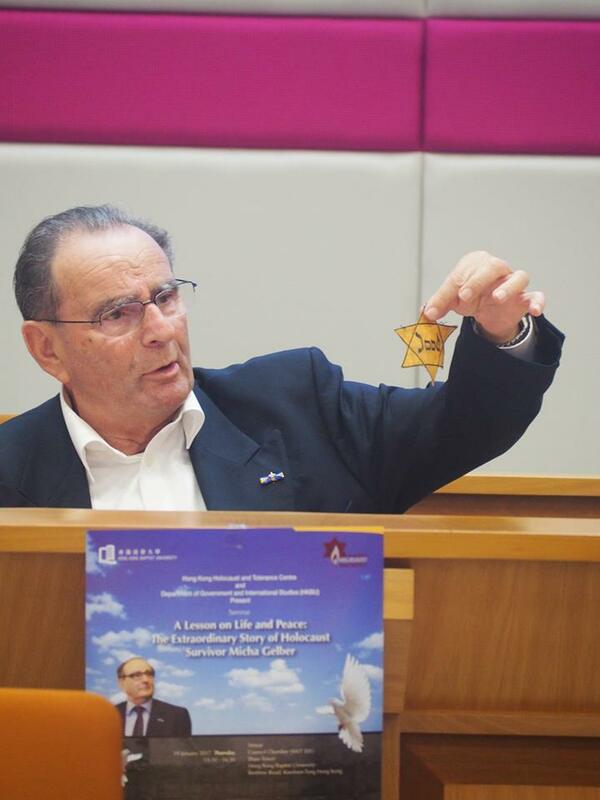 During the session, Micha recounted the incredible story of his childhood and fight for survival in the face of Nazi occupation during WWII. 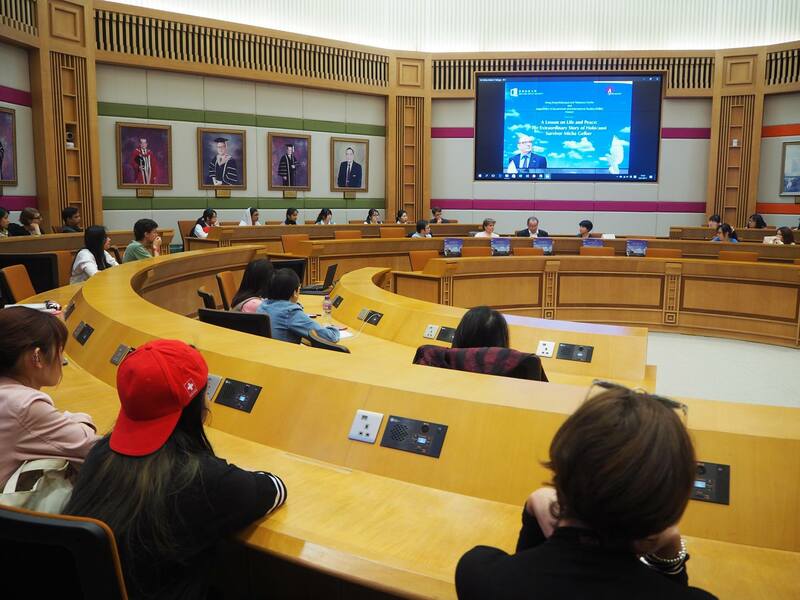 Our event was attended by a group of many undergraduate and graduate students, local high school students, European diplomats as well as members of the general public. 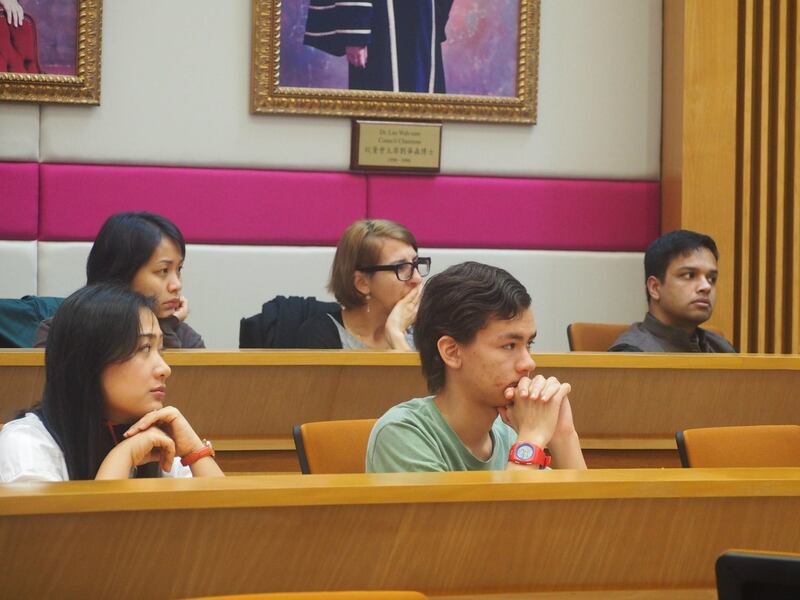 Please click here for more photos from the HKHTC-HKBU event.